Ready To Go Product Images service is a great chance to make your e-Store a crowded space. Product image can easily make or break your online sale. We will help to make your Products attractive and professional-looking on e-Commerce listings. A product will be isolated from a picture and displayed on any mono-color or transparent background with superimposed shadow. The service implies up to 15 ready-made Product images and as a bonus, you get a promo code to download 15 high-quality images from Depositphotos website. - the dimension of output images (width & height). Dimension can be adjusted to template layout. 3. 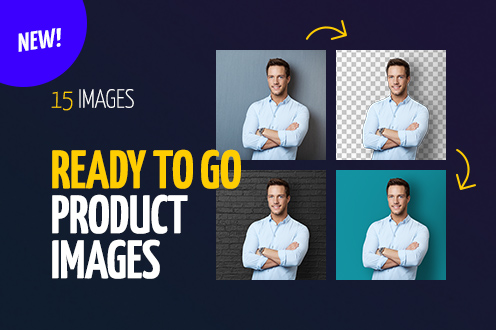 Get your perfect Product images pack.